Everyone was enjoying the good weather today. 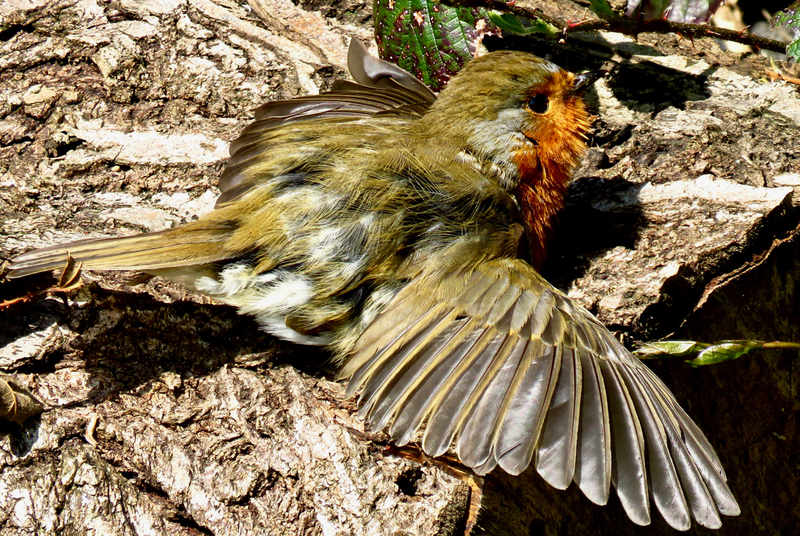 This robin in the garden had a look around, decided I was no threat at all, fluffed its feathers up, spread its wings and settled in for a few minutes’ quiet drying out time. This seemed a perfectly good response to the sunshine as far as I was concerned.